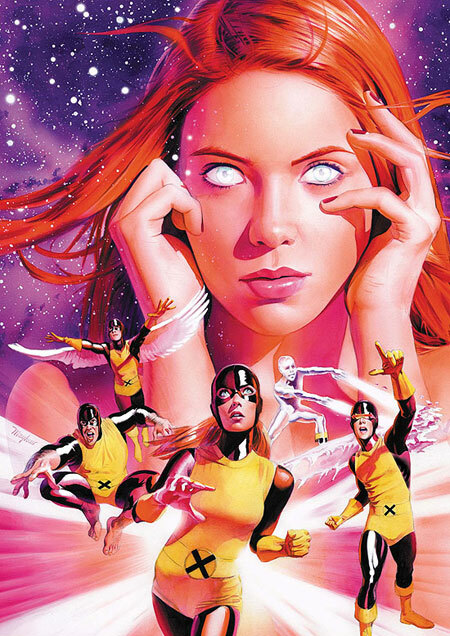 The younger daughter of history professor John Grey and his wife Elaine, Jean Grey was 10 years old when her mutant telepathic powers first manifested after experiencing the emotions of a dying friend. 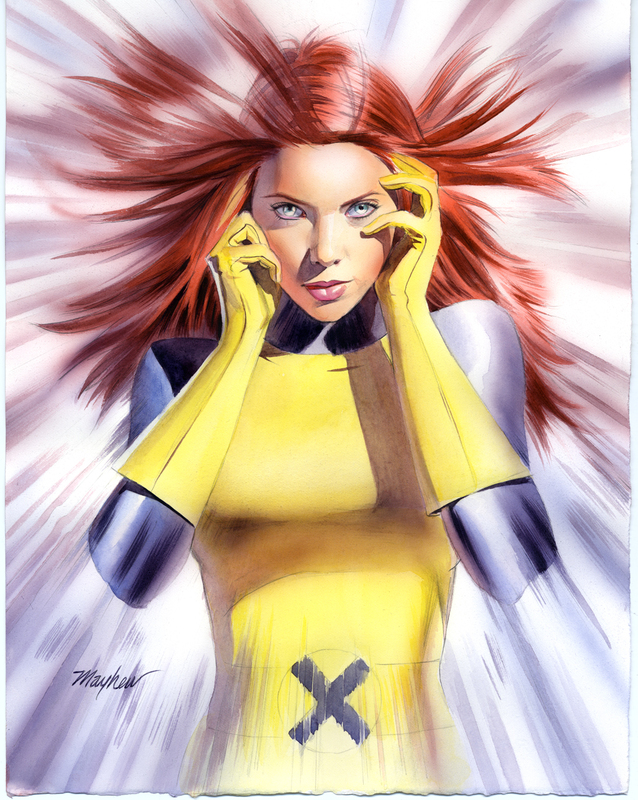 Her parents took her to be treated by Professor Charles Xavier. 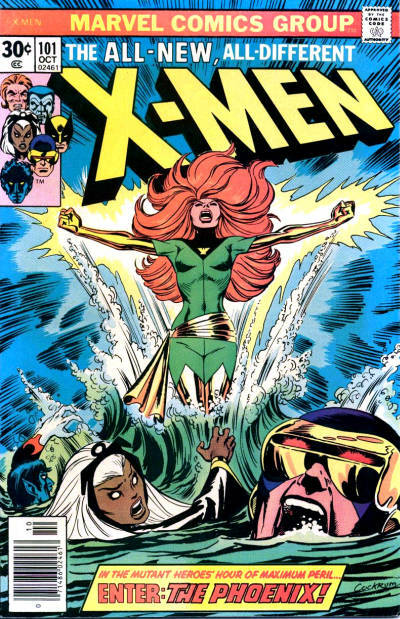 While Xavier treated Jean he also used her to fine tune his Cerebro machine. 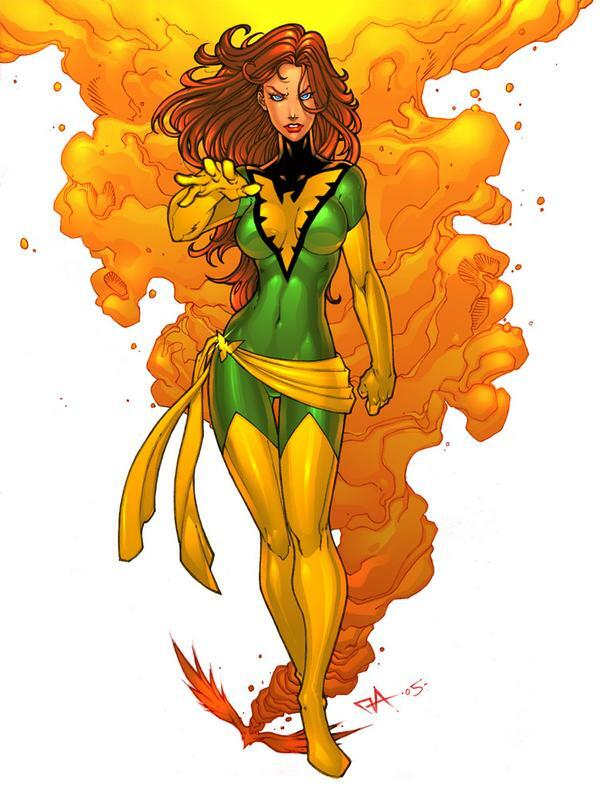 When Xavier introduced young Jean to the astral plane a part of her mind manifested as a Phoenix raptor and touched the mind of Scott Summers in the orphanage. 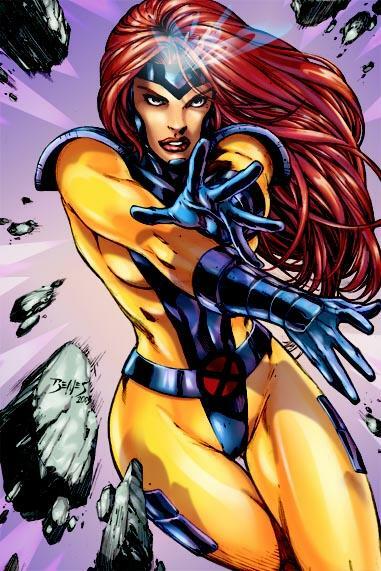 Later, Xavier erected psychic shields in Jean's mind to prevent her from using her telepathic powers until she was mature enough to control them. 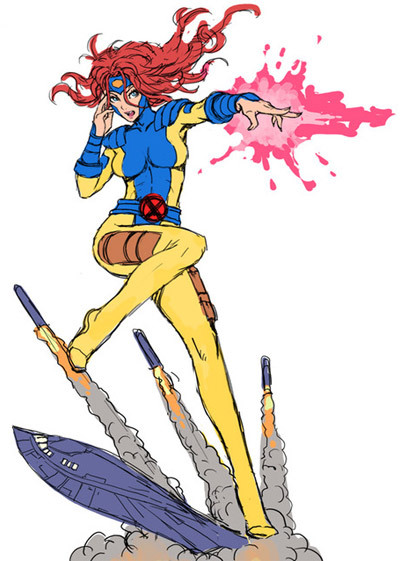 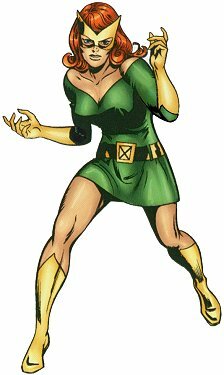 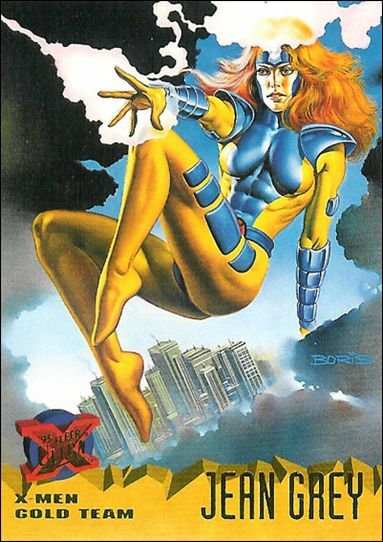 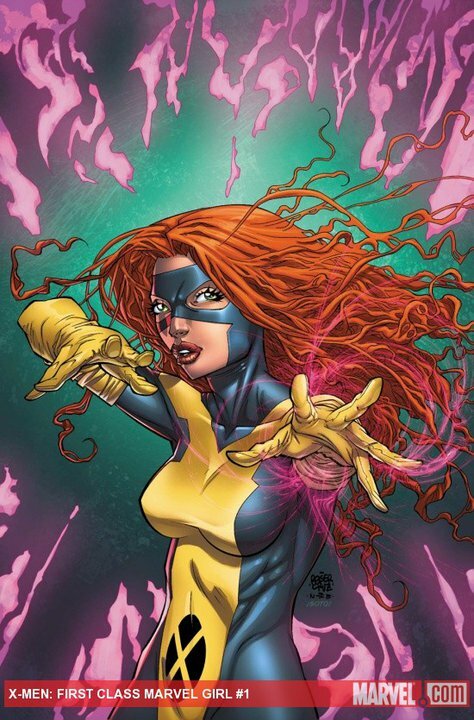 Eventually, using her telekinetic powers, Jean was a founding member of Xavier's team of mutant trainees the X-Men as Marvel Girl. 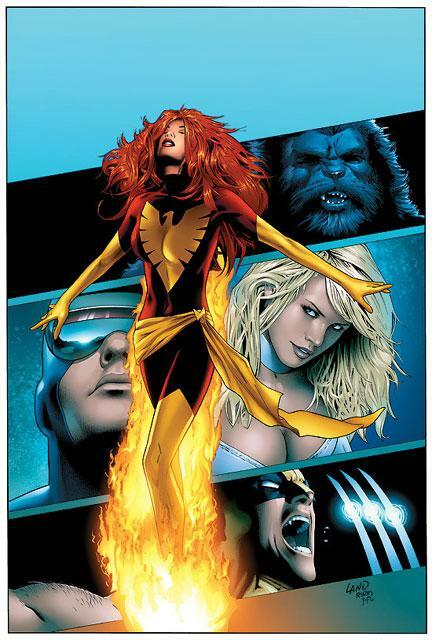 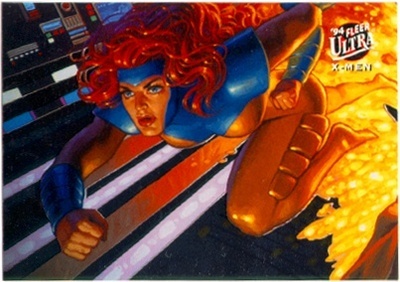 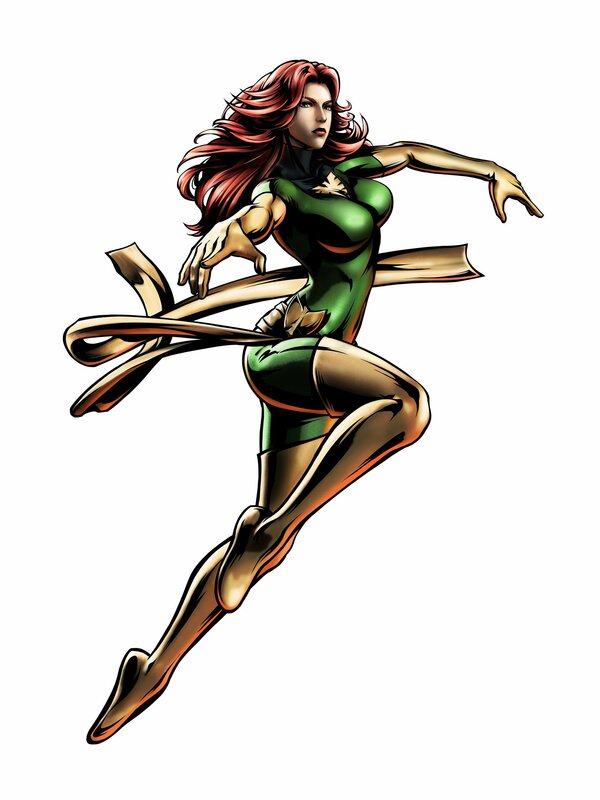 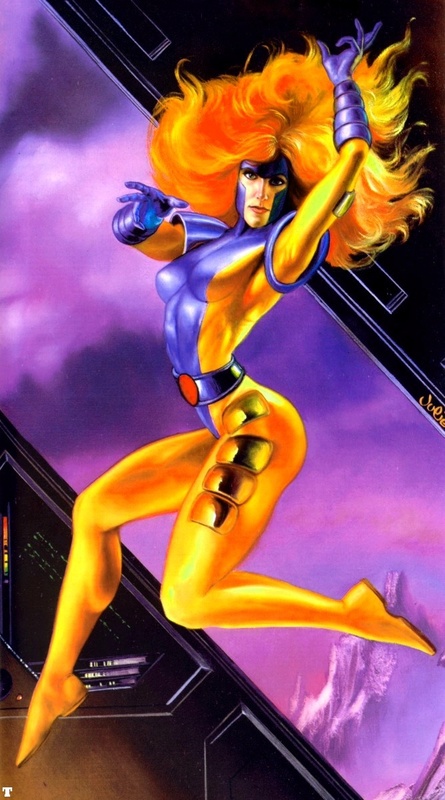 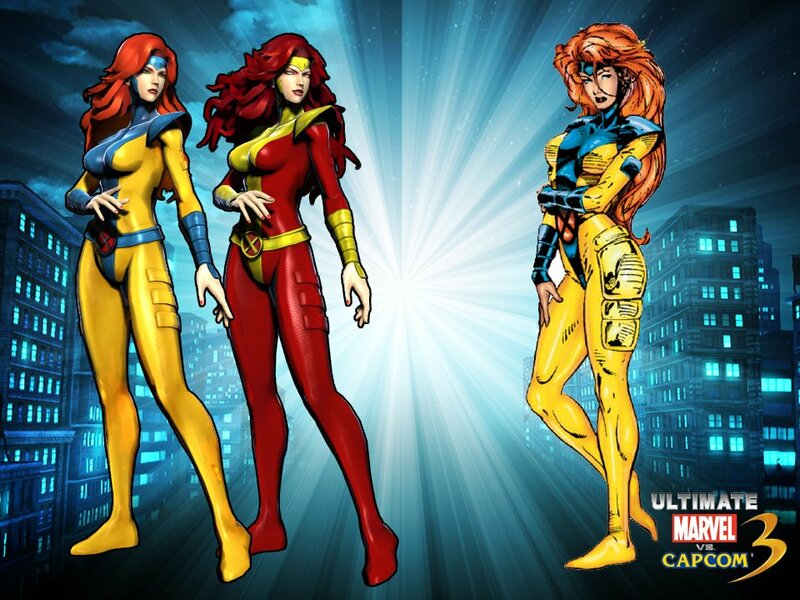 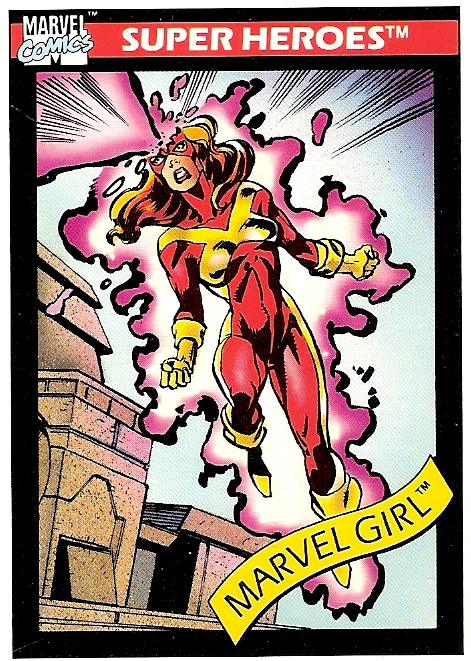 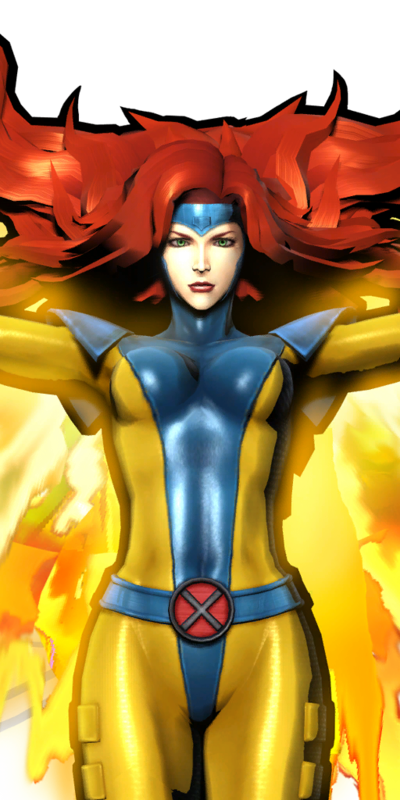 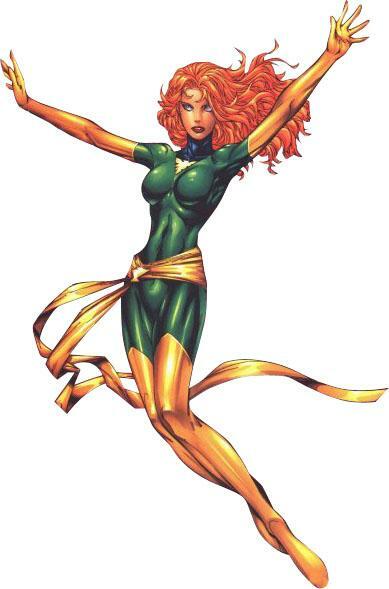 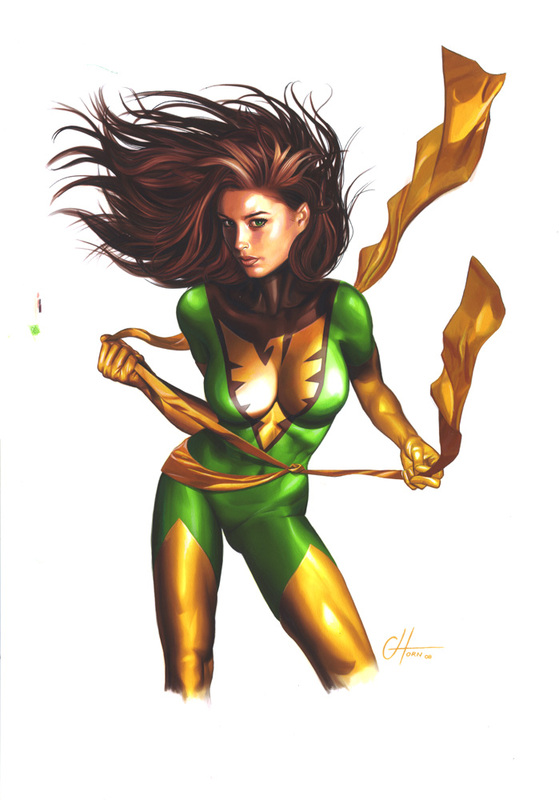 Upon a mission in outer space Jean was noticed by the Phoenix Force which took note of her unlimited potential. At this moment Jean had a vision of becoming the Phoenix but the vision faded from her memory as it ended. 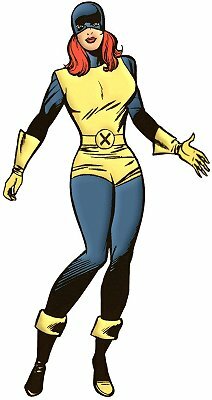 She soon fell in love with fellow student Scott Summers, and later would develop a strong attraction towards one of the team's new recruits, the feral Wolverine. 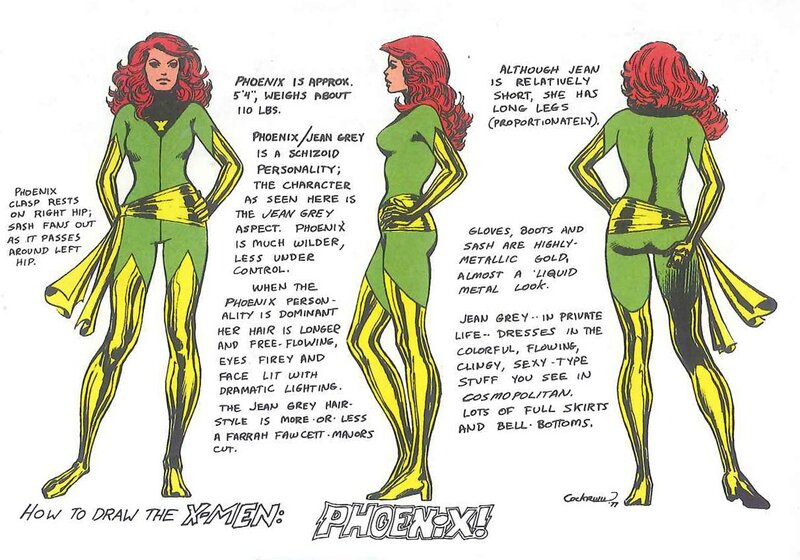 For months the Phoenix believed itself to be the real Jean and saved the universe by healing the M'Kraan Crystal. 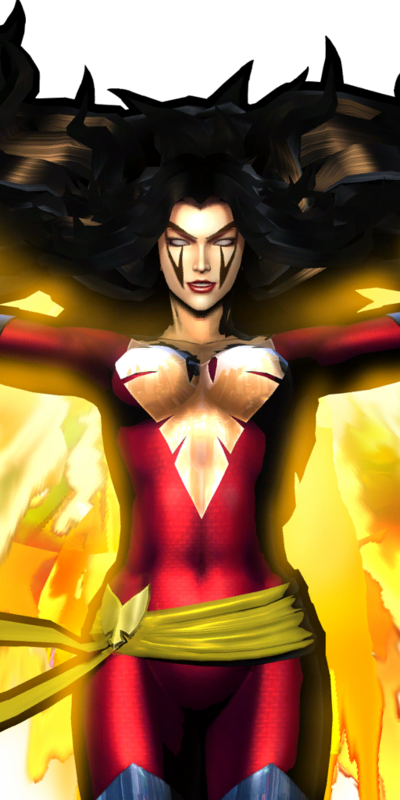 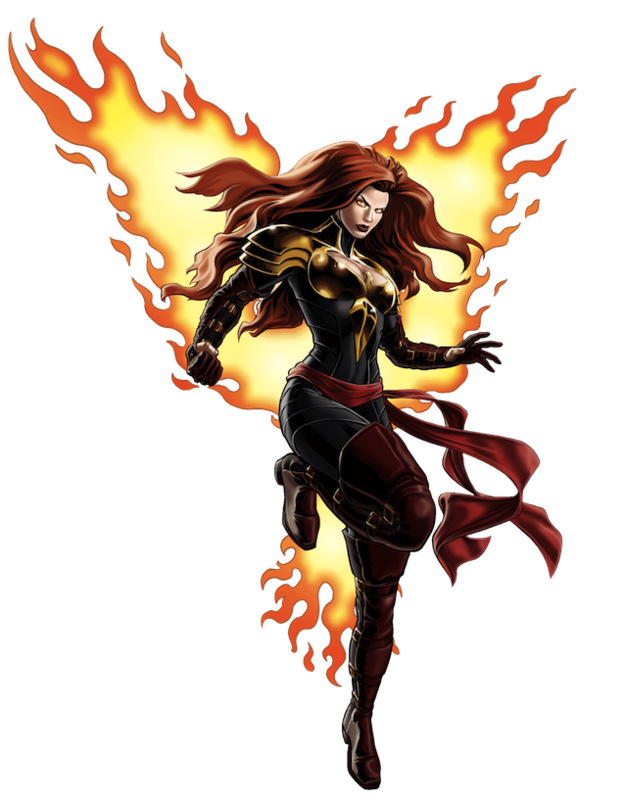 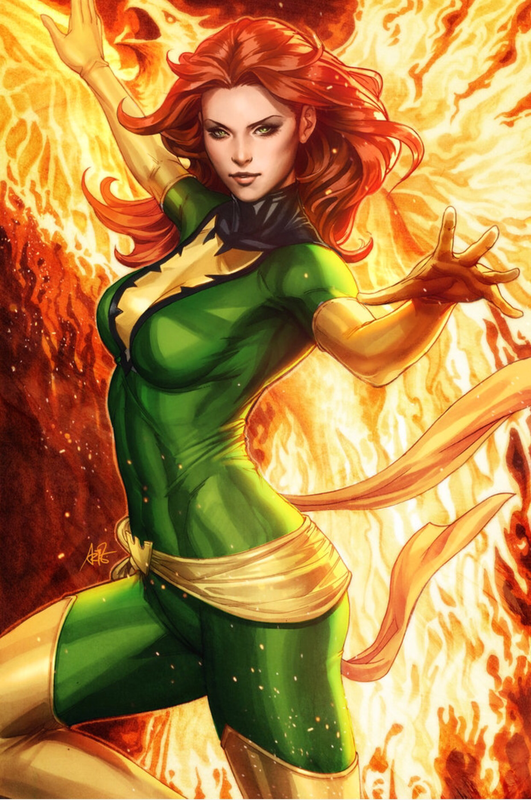 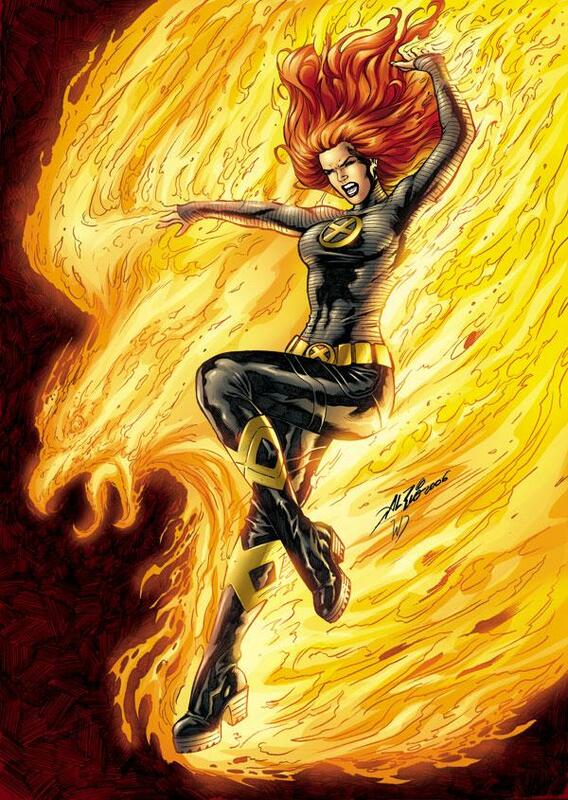 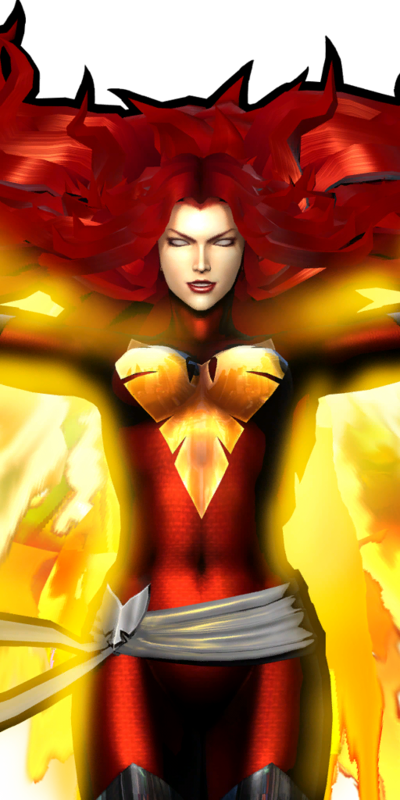 Mental manipulation by Mastermind caused Phoenix to go insane and become Dark Phoenix. 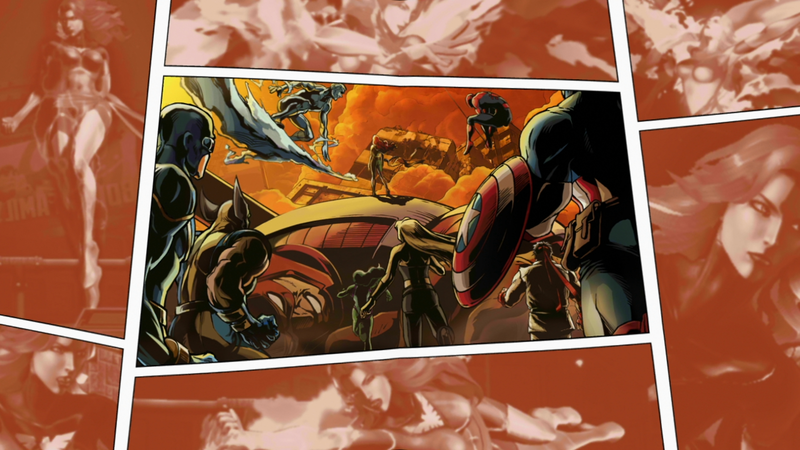 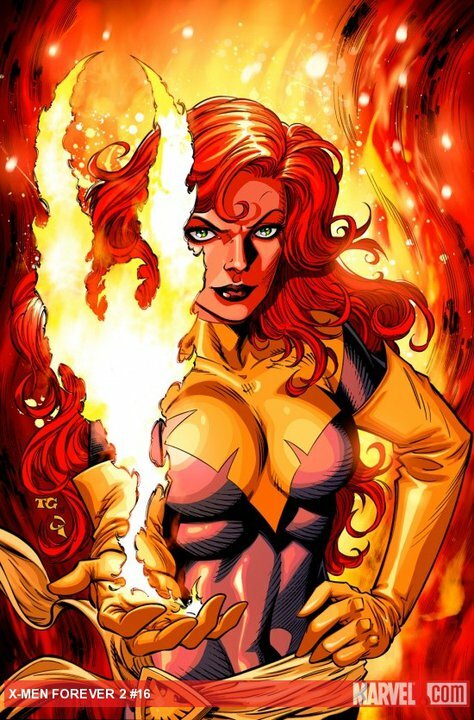 Ultimately, the portion of Jean's consciousness within Phoenix resurfaced, causing it to commit suicide. 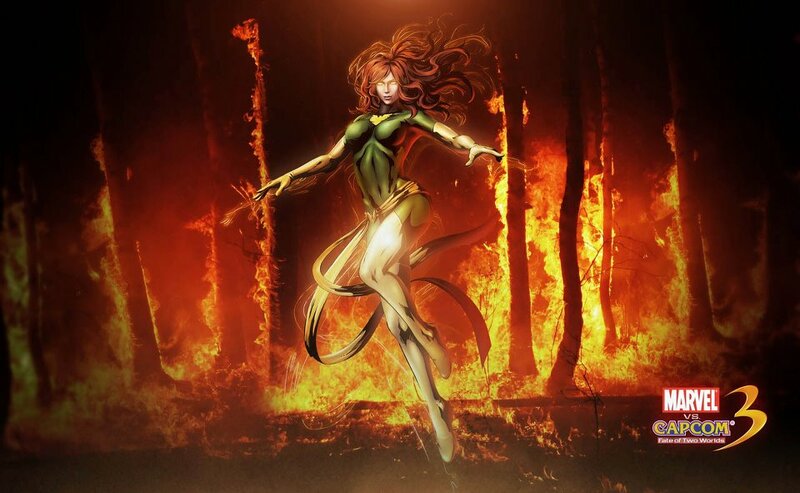 This portion of Jean Grey's consciousness then journeyed to the afterlife to meet a manifestation of Death. Death explained the Phoenix Force to Jean, who now wore a White Phoenix costume, before this portion of her consciousness and residual Phoenix energy was sent to Jean's original body in the cocoon, where it was rejected, and then to her clone, Madelyne Pryor. 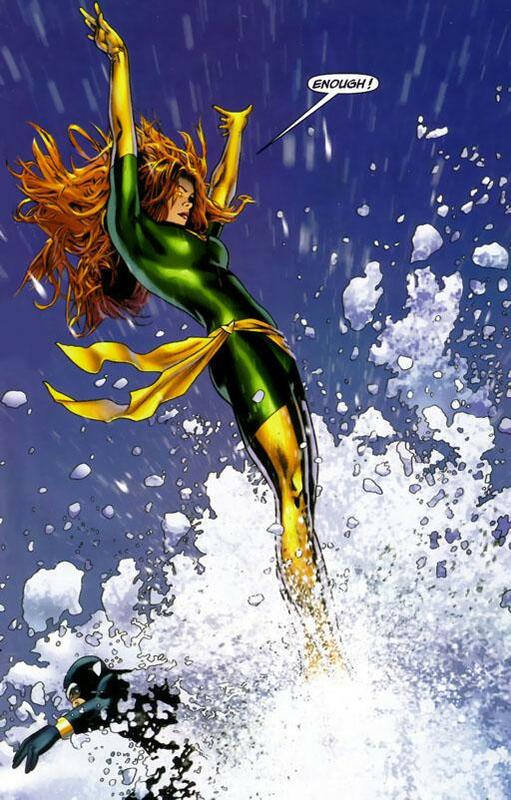 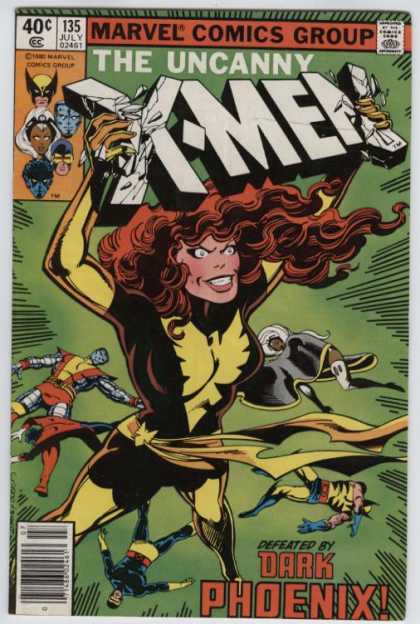 Eventually, Jean was rescued from her stasis and, with the other original X-Men, formed a new team, X-Factor. 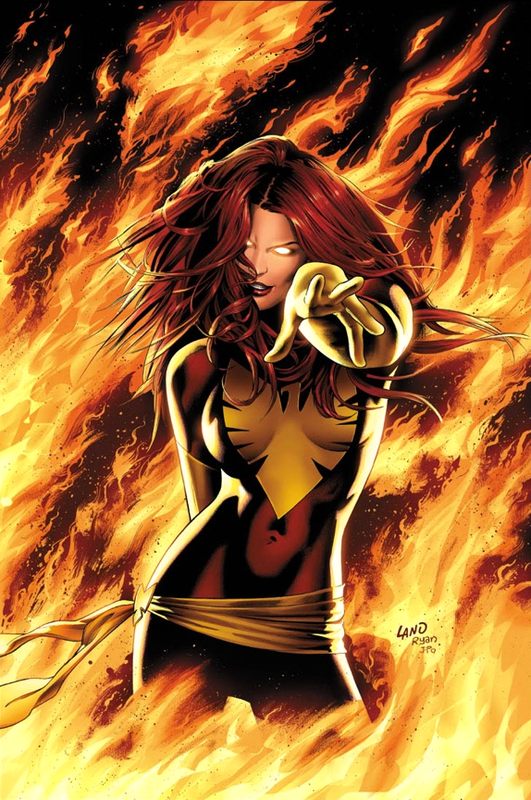 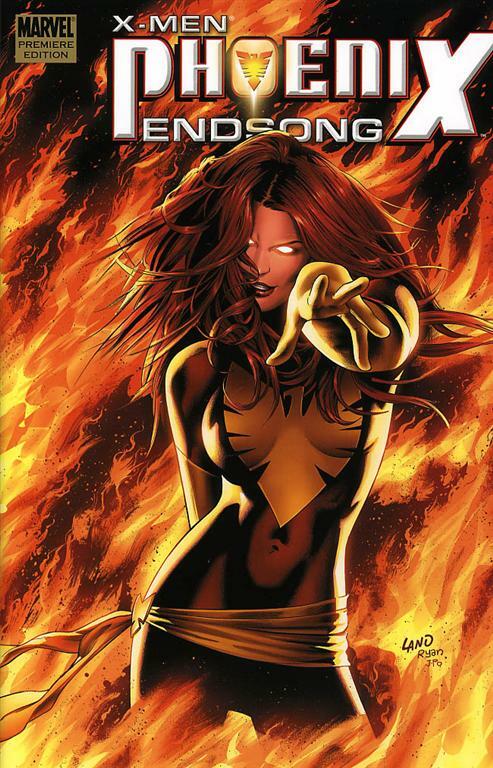 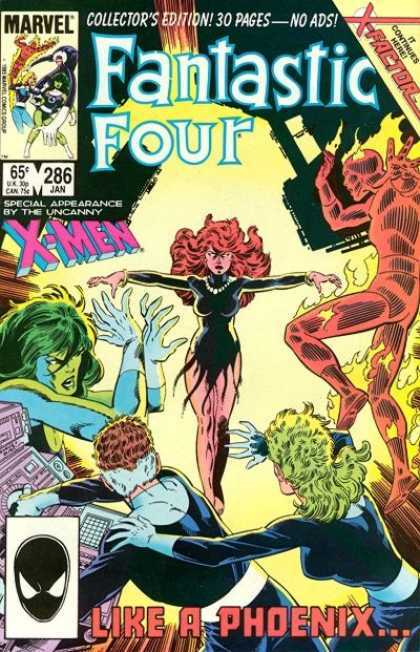 Madelyne Pryor later died in a confrontation with Jean Grey in which Jean absorbed Madelyne's and Phoenix's personalities and memories and a spark of the Phoenix energy. 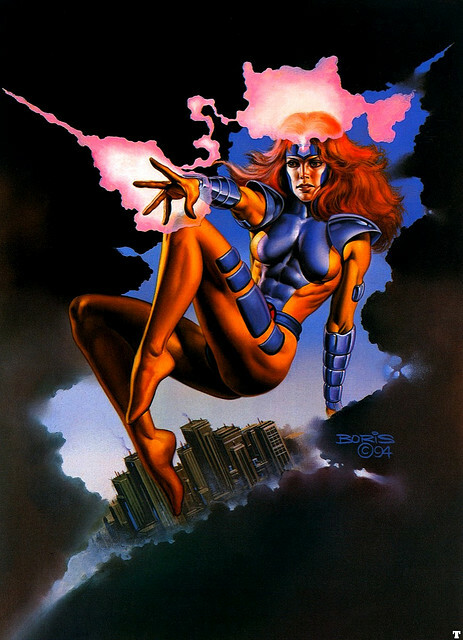 While in battle with a Celestial on an alien world, Jean expelled this spark of energy and the personalities she had absorbed but kept faint impressions of their memories. 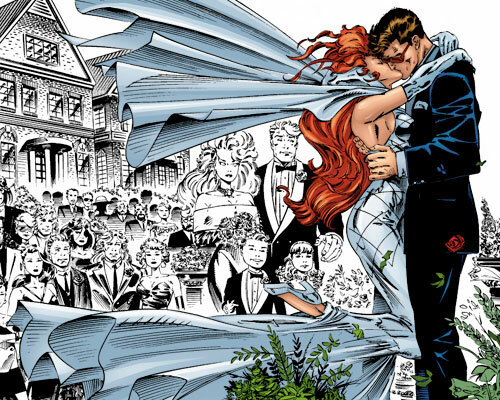 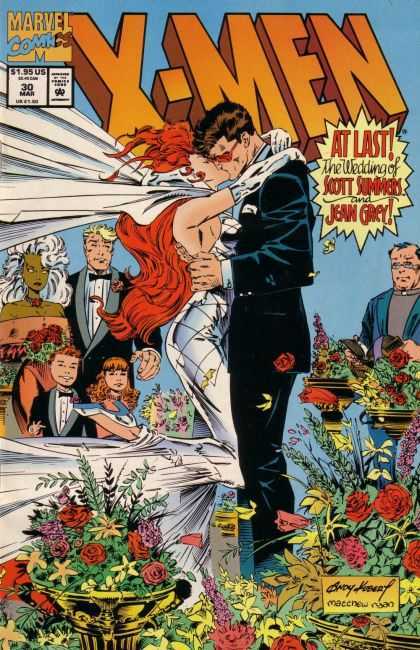 Ultimately rejoining the X-Men, Jean and Scott eventually married and were temporarily teleported to a possible future to help raise Nathan Summers. 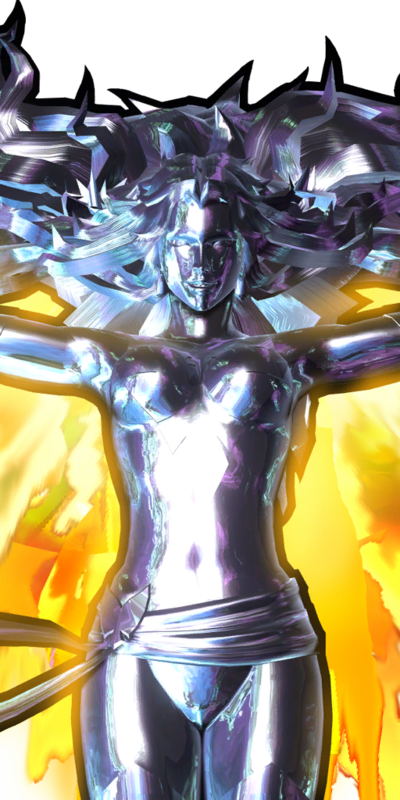 Later, Scott seemingly sacrificed himself to stop Apocalypse from gaining the power of The Twelve. 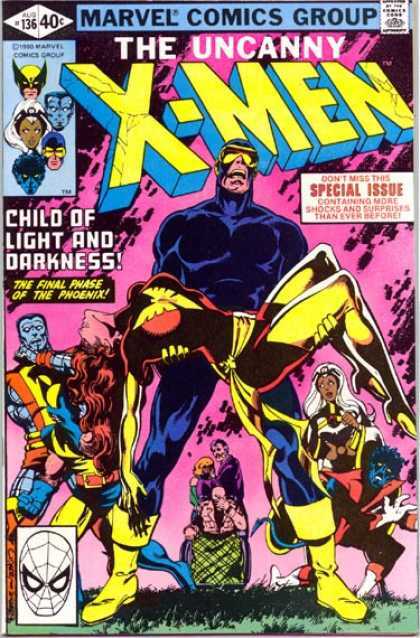 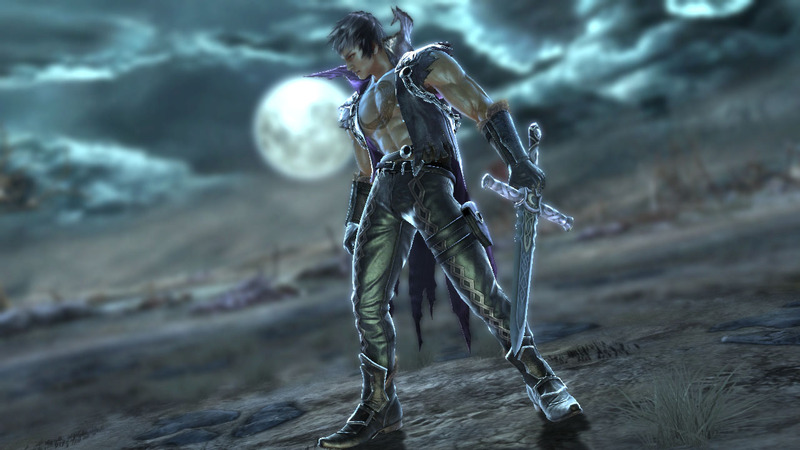 Apocalypse used Scott's body as a host until his essence was removed from his body by Jean. 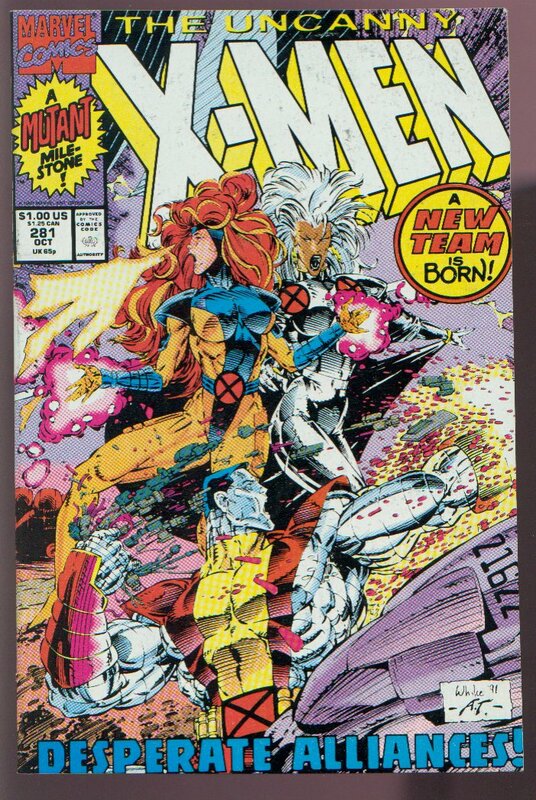 However, Scott's corruption by Apocalypse greatly strained his and Jean's relationship. 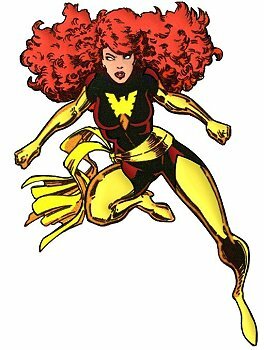 While on a mission to stop the Stranger from trying to destroy the universe, Jean used the Phoenix Force to get advice from the cosmic being known as Eternity. 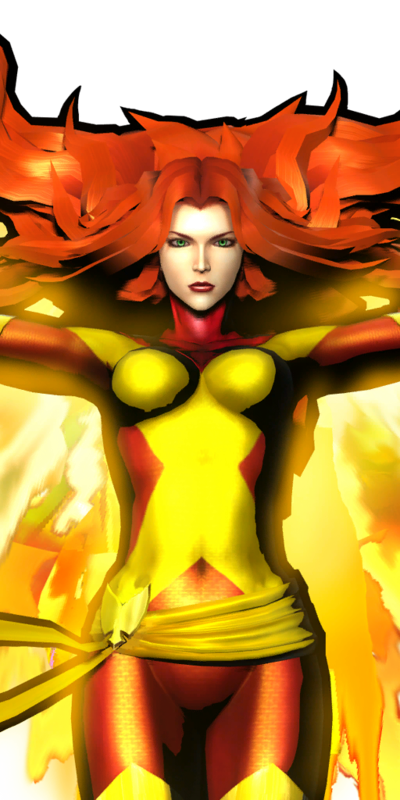 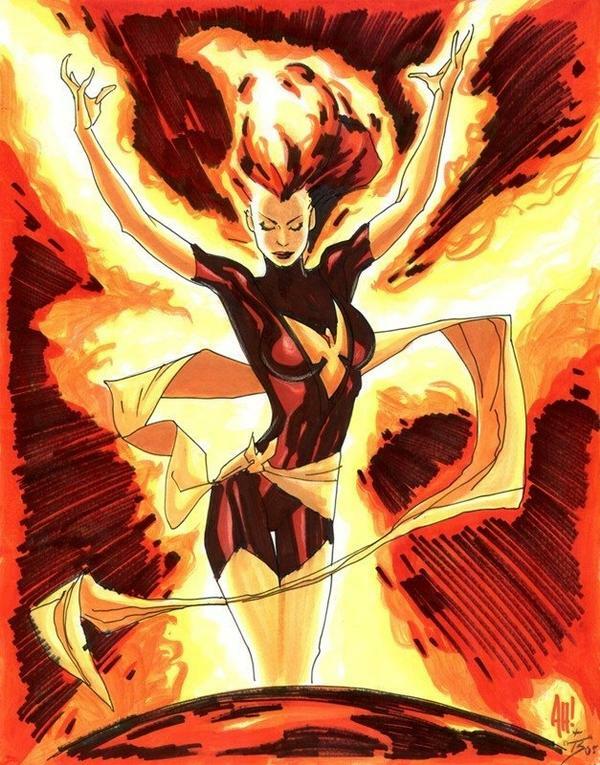 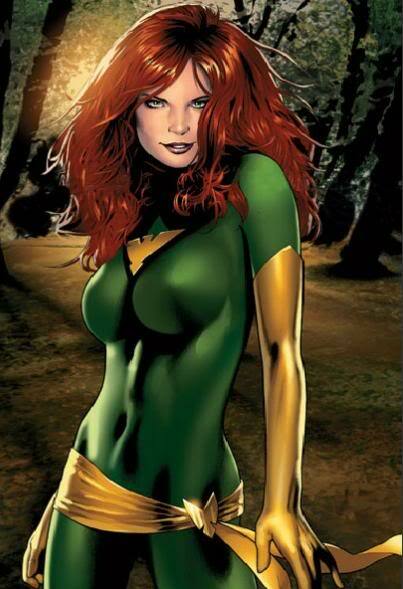 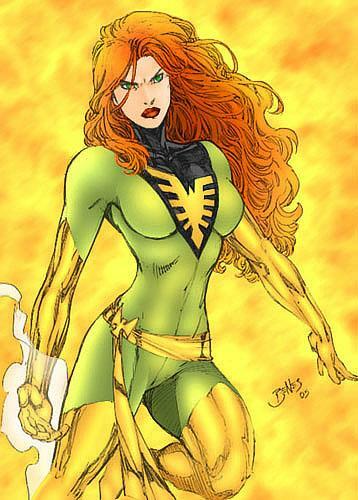 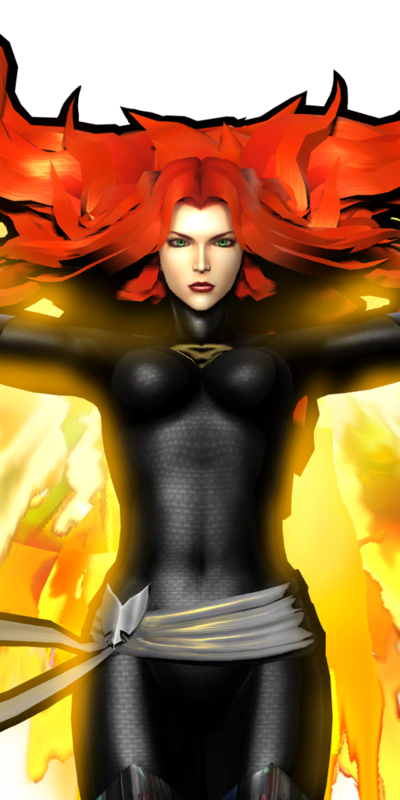 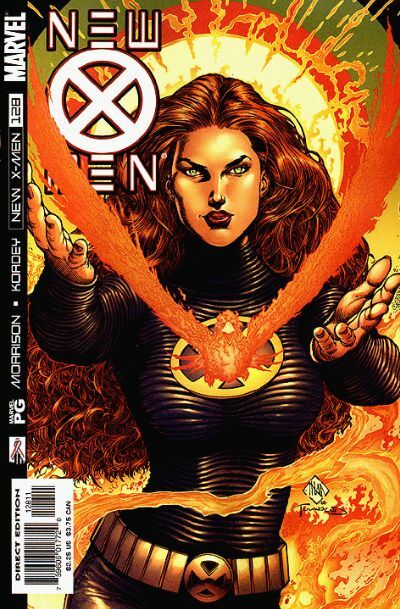 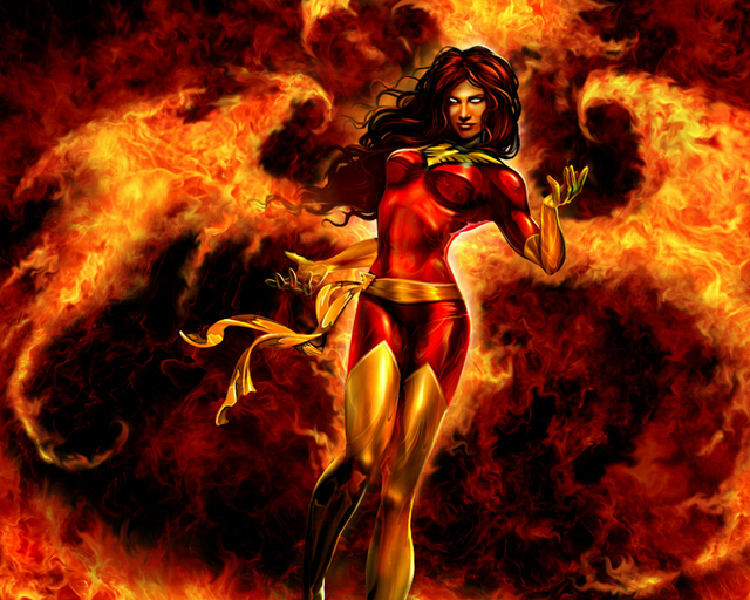 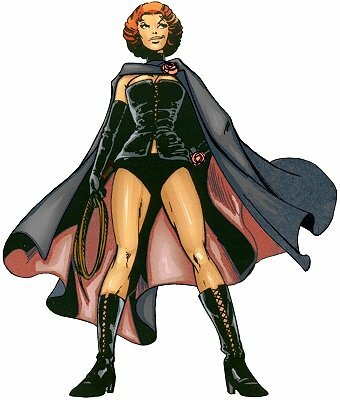 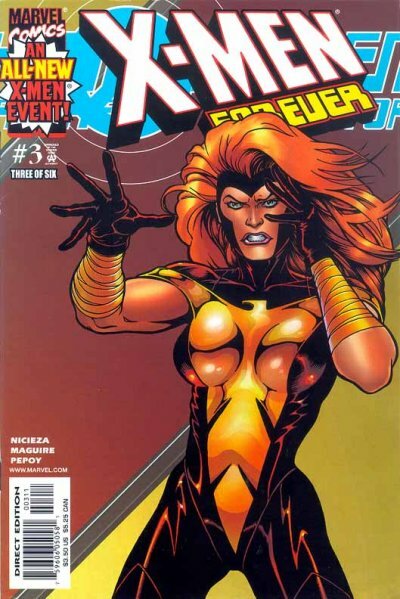 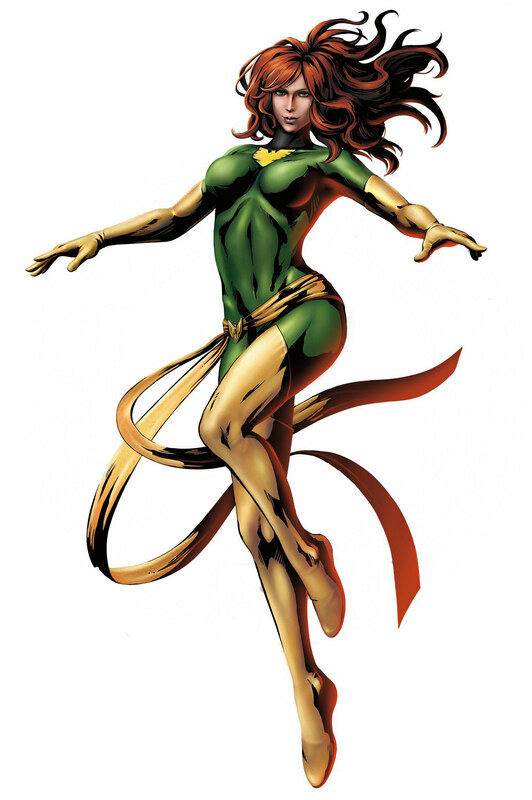 Later, Jean assumed the position of acting headmistress of the Xavier Institute and was revisited by the Phoenix Force. 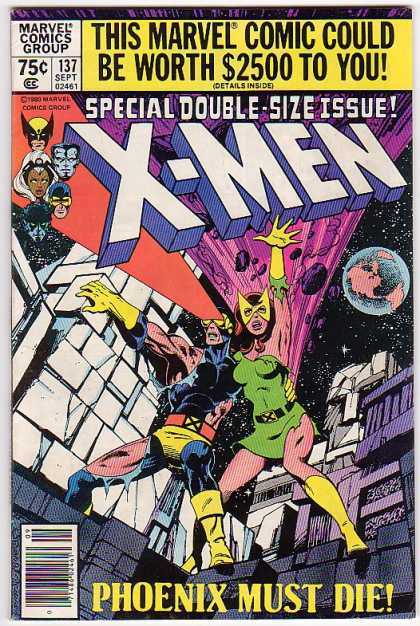 Following an attack on the X-Men by a mutant impersonating Magneto named Xorn (who had previously been a teacher at the institute), Jean and Wolverine were trapped on a space station that was hurtling into the sun. 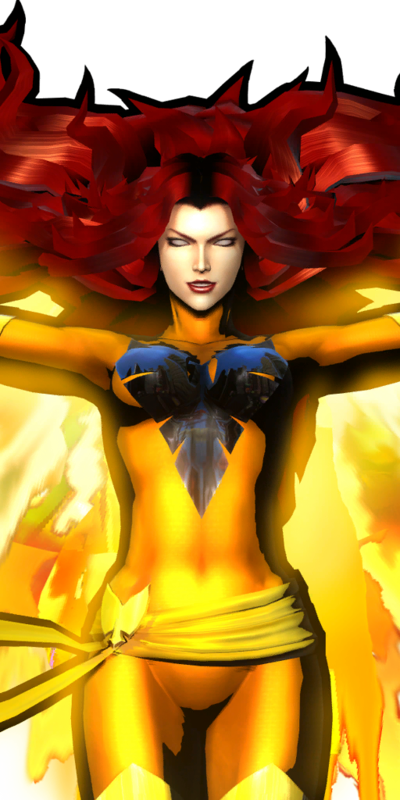 Seeing no hope for survival and wanting to spare his teammate further suffering, Wolverine seemingly killed Jean, unleashing the Phoenix Consciousness within her and resurrecting her. 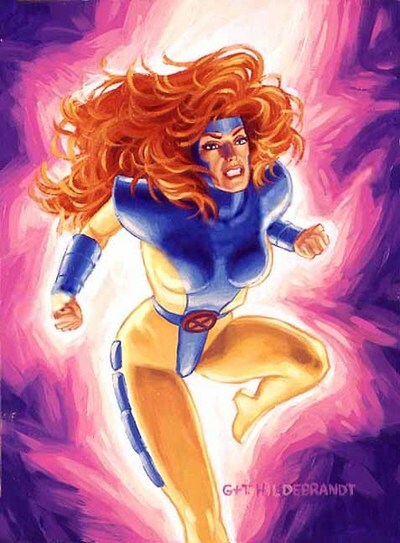 Returning to Earth, Jean, with the power of the Phoenix, opposed the faux Magneto and was killed by a massive stroke induced by a lethal electromagnetic pulse. After being killed by the faux Magneto, Jean hatched from a Phoenix Egg in the future. 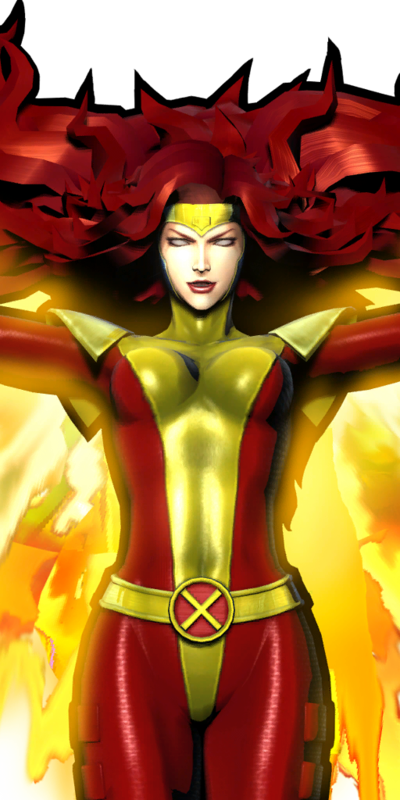 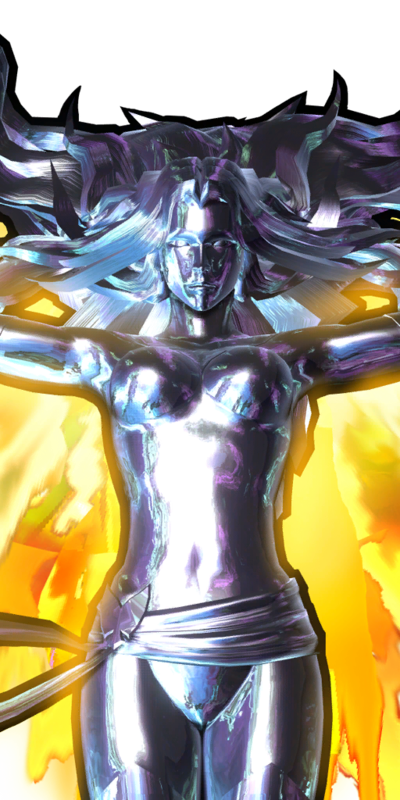 Sublime sought to use Jean's Phoenix power to control all of creation. 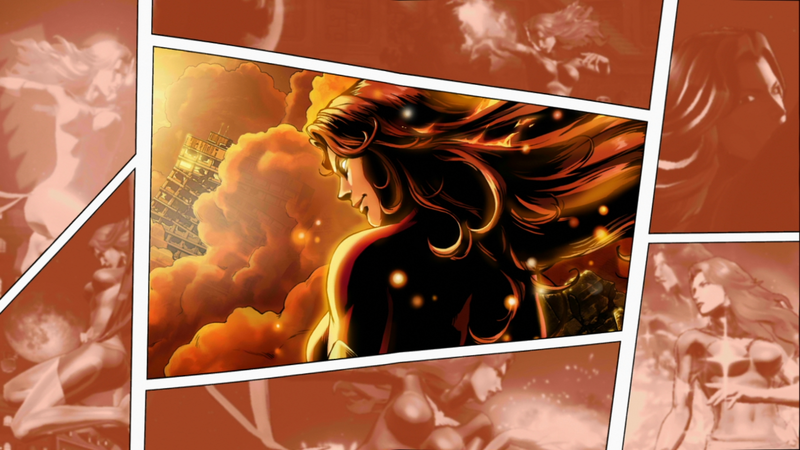 However, Jean remembered her mission and destroyed the future reality. 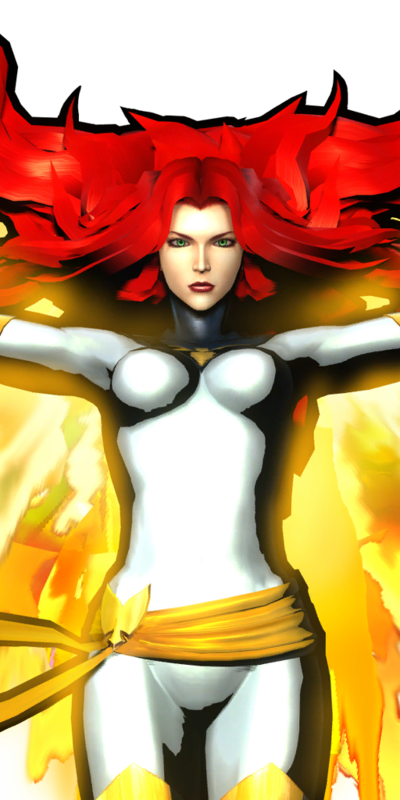 Jean ascended to the White Hot Room as a White Phoenix of the Crown and created a new future by pushing Scott to stay with Emma Frost and continue the Xavier Institute. 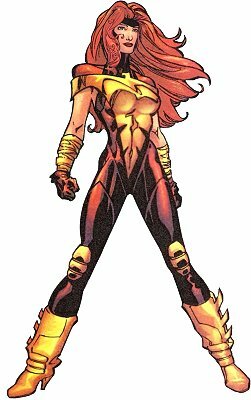 Later, a band of Shi'ar used their advanced technology to force the Phoenix Force out of the White Hot Room and shattered it with an 'Event Horizon'. Confused and driven insane, the Phoenix flew to Earth and forcefully resurrected Jean Grey. 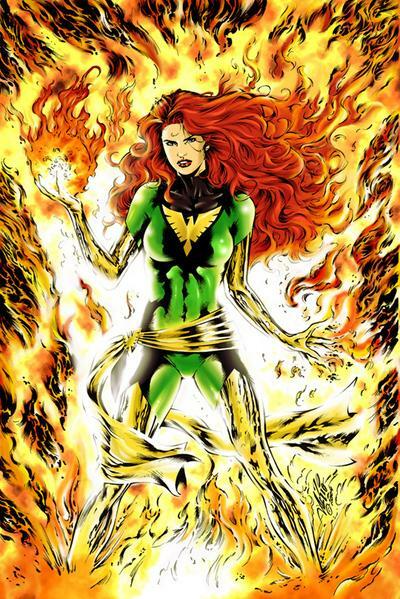 Jean ultimately merged with the Phoenix Force, once again becoming the White Phoenix, and returned to the White Hot Room to find its missing pieces.